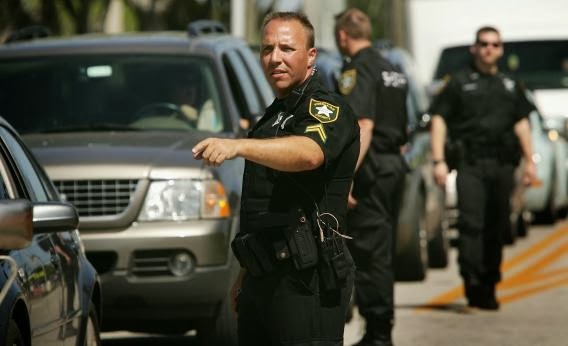 Women from New York to Boston are outraged over the decision to suspend a Lakeland, Florida policeman for only one day after he forced a woman to shake her bra during a traffic stop last May. According to reports, the cop, Dustin Fetz, says he had suspected the victim, Zoe Brugger, of hiding drugs in her brazier. He then ordered the woman to shake her bra in front of him, after which the woman complied. Once the incident became public, the officer reportedly took four days off with pay and was suspended from his job for one day in as a result of the incident. Fetz was also instructed to undergo retraining. The state attorney who represents Polk County, where Lakeland is located has called the actions of officer Fetz "highly questionable," saying such practices are both ineffective and dangerous.